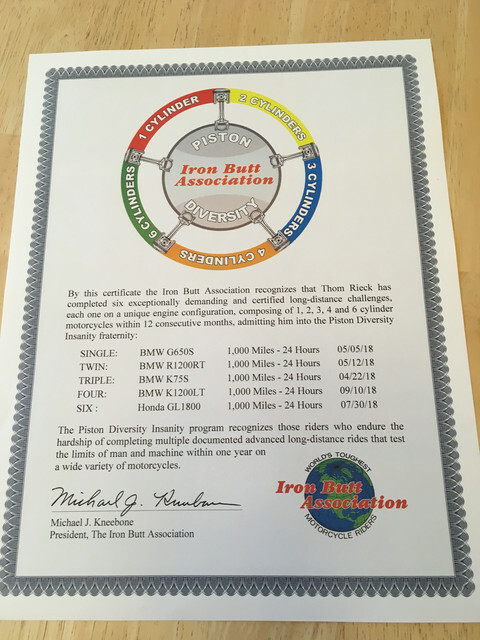 I recently completed the Piston Diversity Insanity Challenge – riding 5 Saddle Sore 1000’s (1000 miles in 24 hours or less) on 5 different bikes that have different piston counts, in less than one year. Said differently, that’s 5000 miles on 1, 2, 3, 4 and 6 cylinder motorcycles. 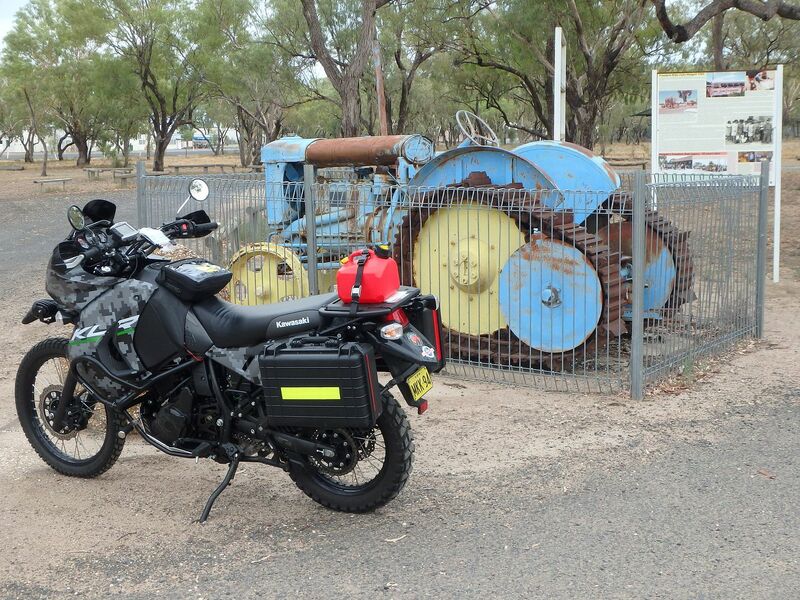 (5 cylinder motorcycles rarely exist outside of museums, so I was out of luck). 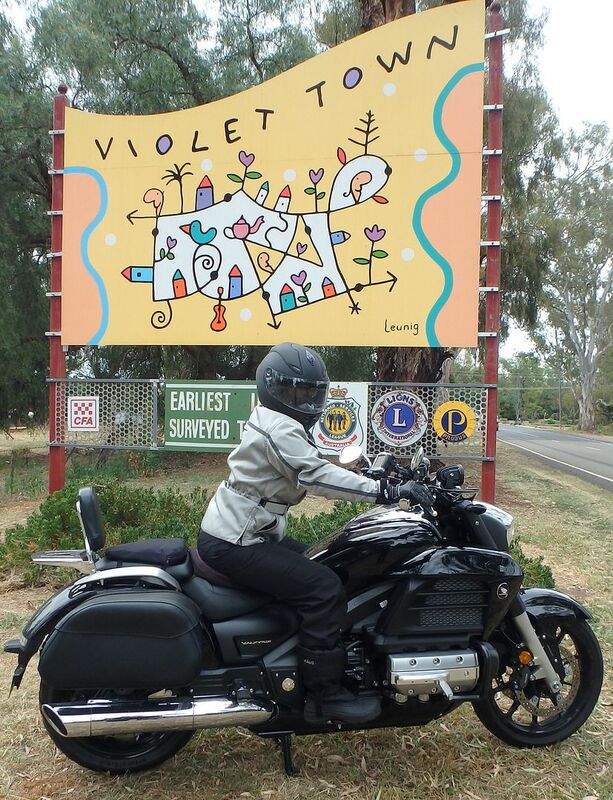 The IBA states that you have 12 months to do this ride, which was plenty of time! I was lucky to already own 1, 2 and a 3-cylinder motorcycle, so I just needed to sucker in a friend or family member and borrow their bike. 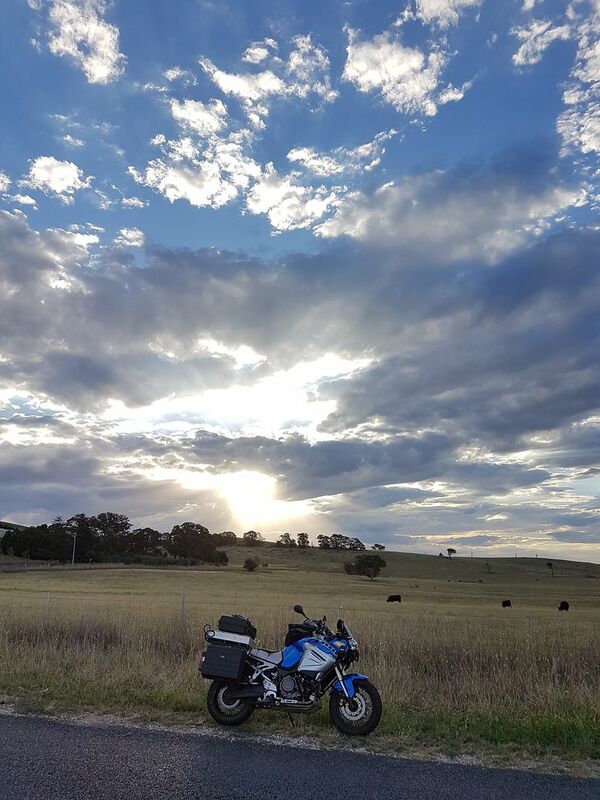 I rode my 2009 BWM G650GS for this ride. I headed out in mid-June leaving Rochester, MN traveling to Sioux Falls, SD, then down to Kansas City, MO and back up to Rochester, MN via Des Moines. I was using this ride as a shakedown ride in preparation of traveling from Key West, FL to Deadhorse, AK later in the summer. (That ride didn’t happen to turn out well). Even though this bike is a single cylinder, it will happily plod along at 70-80mph all day long. I thought that I would be more tired after this ride, but the airhawk seat pad, taller windshield, and throttle lock made it enjoyable. I used a BestRest peg packer to hold an extra gallon of gas throughout the ride. I decided to reduce one of my planned gas stops ½ way through the ride by using that extra gas, but I could have completed the ride without it. 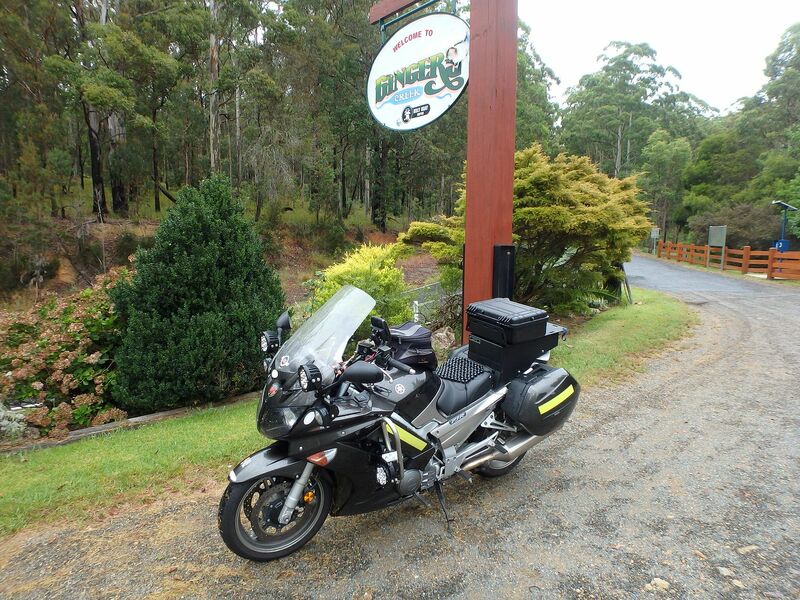 I rode my 2009 BMW R1200RT to complete this ride. 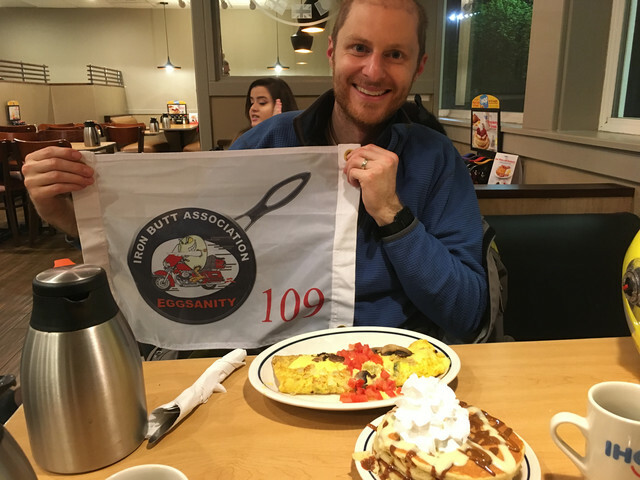 I actually rode an Eggsanity 1000 Gold for this particular ride (along with my good friend Dave). 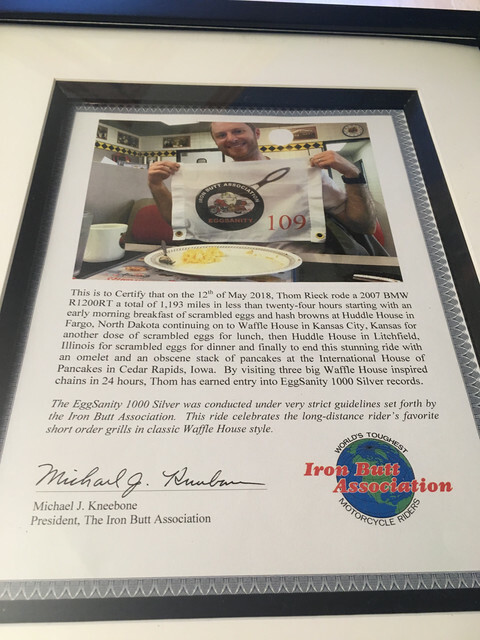 The idea behind this ride is to eat at 3 to 5 short-order egg places throughout the 1000 miles. 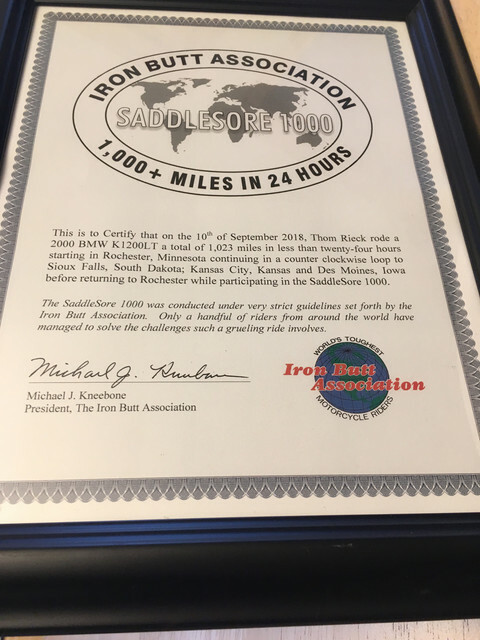 We started the ride at the Huddle House in Fargo, ND, then went to Waffle House in Kansas City, then hit up another Huddle House in Missouri, and finished at an IHOP in Cedar Rapids, IA. We put on over 1200 miles during this ride (and the thought of sneaking in a Bun Burner Gold crossed our crazy minds several times). Both of our bikes are setup very well to eat up the miles without having to stop (auxilllary tanks, extra lights, electronic gadgetry, etc.) Thank you to Mark for letting us crash at your place before we rode back home! 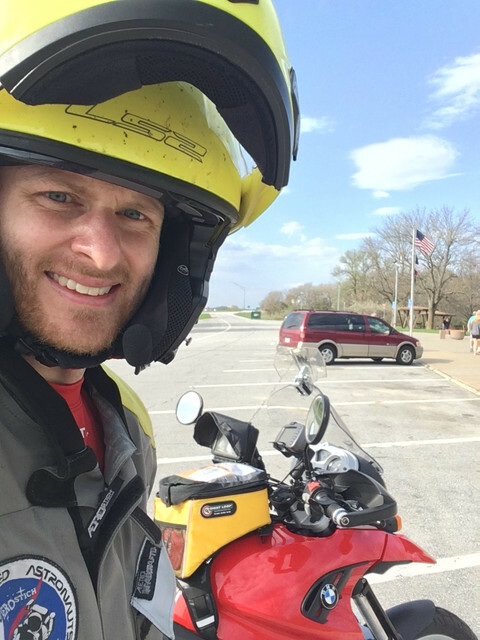 I completed this ride aboard my BMW K75S, a bike that currently had over 125,000 miles and isn’t even close to being tired out. I did this ride pretty early in the riding season, at the end of April, so there was still some snow on my route. 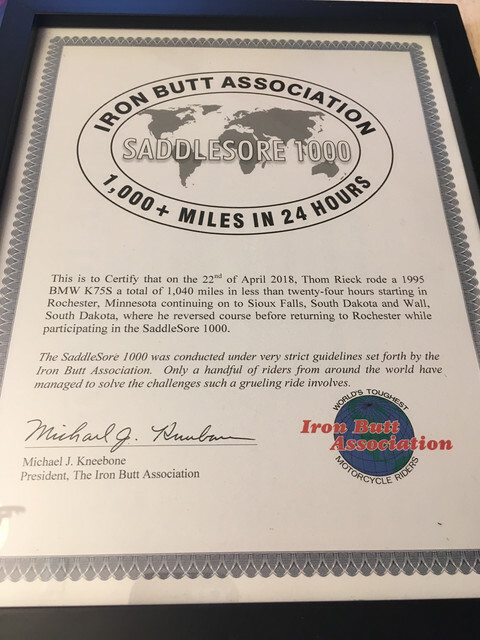 This was an out and back ride from Rochester, MN to Wall, SD. 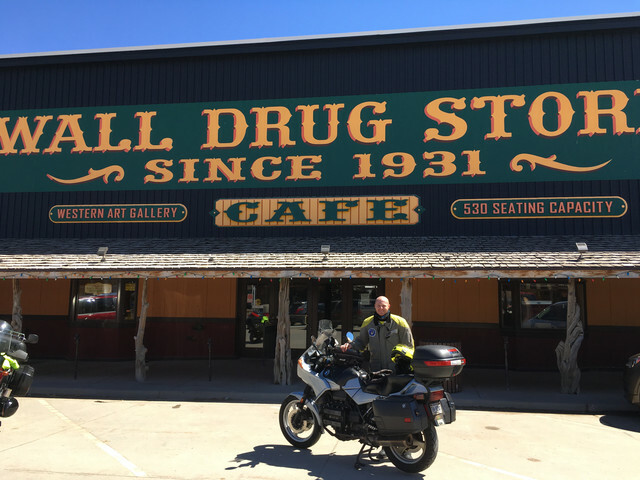 I stopped at Wall Drug and had a cup of coffee and a piece of blueberry pie before I turned around. 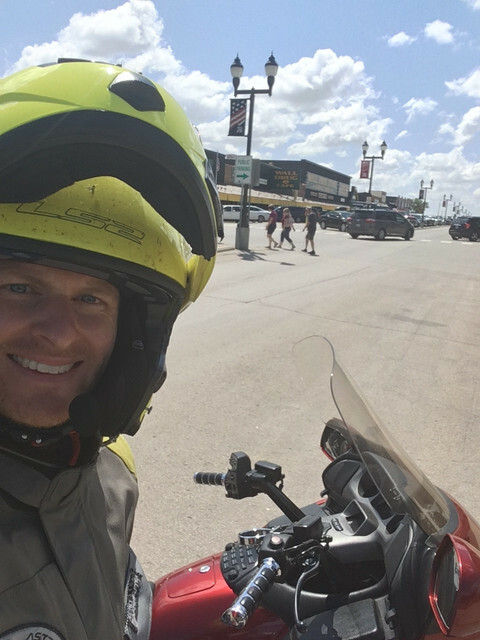 The 80 mph speed limit of South Dakota made for a very quick ride. 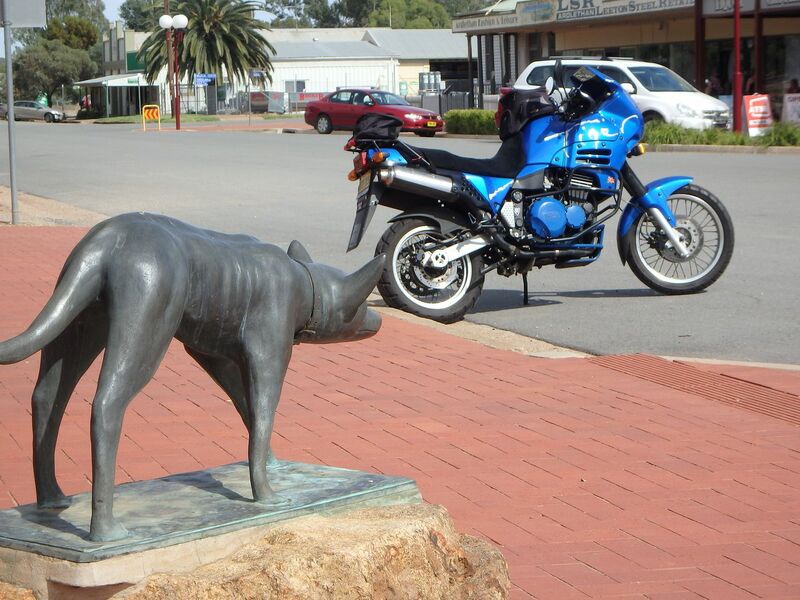 This 1000 miles was completed on a BMW K1200LT, which happened to be borrowed from my good friend Brian (thanks again!). 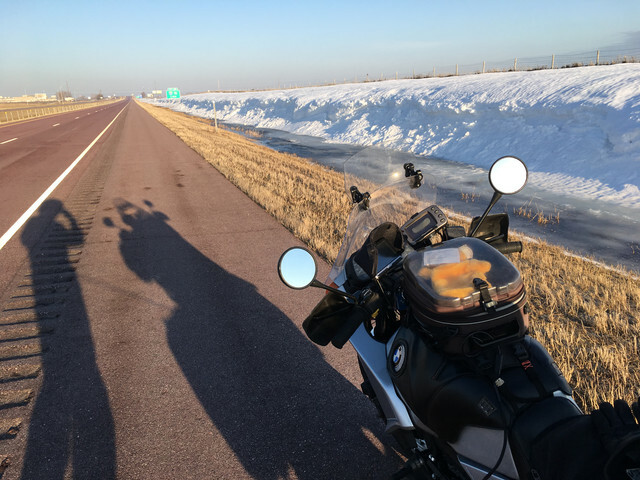 I chose to repeat a similar route as the one I traced with the G650GS – down to Kansas City via Sioux Falls and back up through Des Moines. I chose this route because the winds were forecasted to be a little high in South Dakota. The LT performed just as designed, I could have easily added a couple thousand more miles to my day! I was lucky to borrow a Honda GL1800 Goldwing from my father in law (thanks again!) for this ride. 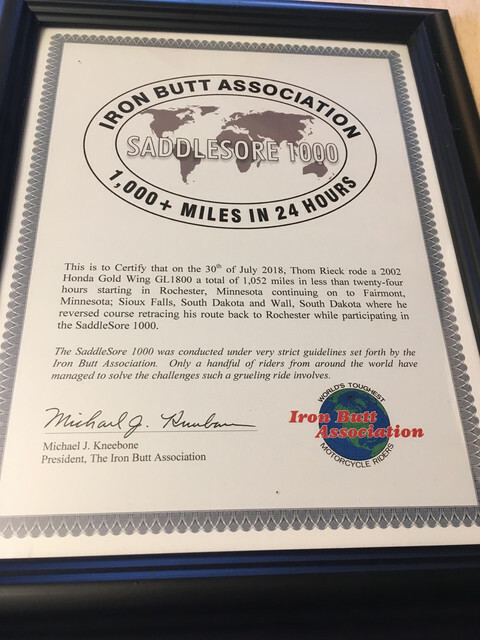 I repeated my route from Rochester out to the middle of South Dakota and back for this ride. The big bike didn’t mind the 80 MPH speed limit, nor the strong headwind that I was riding into that day, but I could almost watch the gas gauge move as I traveled down the road. All of that amazing comfort comes at a price. 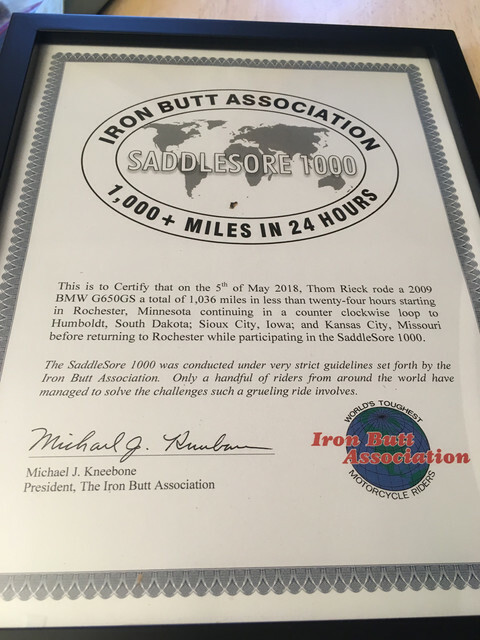 To be fair, that little bit of gas mileage reduction was worth it, as I had no discomforts and finished the ride in just over 16 hours. Thanks again to everyone that made these rides possible! Congratulations and thanks for the ride report. Very cool and something on my to-do list for sure. Congrats! Nicely done... Is it OCDish of me to notice that your Piston Diversity Insanity Challenge dates are out of order? That was the first thing I noticed too! The K75 was in the garage, ready to go, it had better wind protection, and was going to be put up for sale after the ride. Hence why it went first. 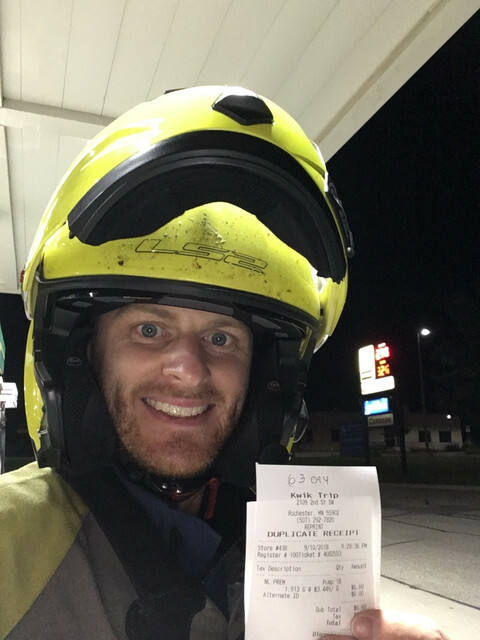 Thanks for sharing and congratulations for being only the second member to have completed this challenge. mmmmm........ that reminds me I'd best get around to submitting my five rides completed in one month last year I suppose. I have come to think no ride is a challenge to you any longer....especially when you take a Valkyrie off road. What year K75? Used to have a '92 with a Pichler fairing and RT bags and bars. 1995 - I really like the Pichler fairing - yours looks amazing with the white stripe! The "louvers" are actually painted on with an airbrush. REALLY liked that bike but the rear half of the Corbin Gunfighter seat was only good if you never wanted your passenger to ride with you again. We really needed a new seat so we bought one from Hammersley and they threw in the bike for free... ...and guys complain about the cost of after-market seats. Not just all those accomplished rides, but all within 12 months. That's crazy! You are one of the elites! Congrats!